Lose That Girl: RATE IT! August 4 is National Chocolate Chip Day! Here's a holiday you can sink your teeth into! 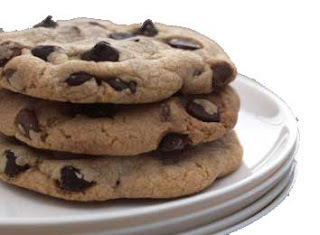 Apparently, August 4 is National Chocolate Chip Day as granted by the National Confectioners Association. Who, you may ask? According to Wikipedia, this NCA bunch is one of the oldest trade organizations around. Tasty! At this point, the sight of these delectable chocolate chip cookies has erased any urge of mine to debate the NCA & their merits. If they want to celebrate the incredible edible, joy-inducing chocolate chip...who am *I* to argue? Whoa! I had no idea. Chocolate Chip Cookies are my absolute favorite!